Military College Jhelum (MCJ) is the oldest military institution in Pakistan. In the beginning its Name was King George Royal Indian Military School, it was founded at Sarai Alamgir on the 3rd of March 1922, and started functioning three years later in 1925. During the World War II, the school was organized as a College for training potential officers for the army. Military College Jhelum, is a Military high school, located at Sarai Alamgir (Gujrat District) near Jhelum, Pakistan. Though it is phyically located in Gujrat District, but due to its very close proximity, it is associated with City of Jhelum, and also it is considered to be in limit of Jhelum Cantonment. It's considered as an important and vital producer of the army work force. This institution constantly feeds the Pakistan Military Academy, Kakul, also known as PMA. It was called as "Den of Lions" by Hafeez Jalandhri, Creator of National Anthem of Pakistan. After 1947 this college becomes more important for Armed Forces of Pakistan due to the limited number of Military Colleges in Pakistan. It is renamed as Military College Jhelum in 1956. Students of Military College Jhelum are called Alamgirian. Military College has very bright history. The College has had, to its credit 1 Nishan-e-Haider, Major Mohammad Akram Shaheed, 48 Sitara-i-Jurrat, 3 Tamgha-i-Jurrat, 4 Military Cross and 15 Imtiazi Asnad. 30 Alamgirians have embraced Shahadat. 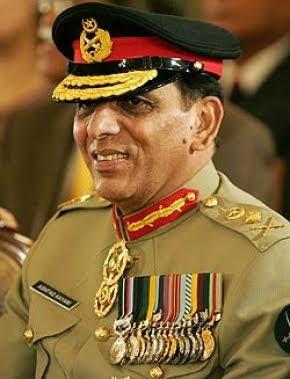 List of the distinguished Alamgirians includes The Ex-Chairman Joint Chief of Staff Committee General (R) Muhammad Iqbal Khan, Air Chief Marshal (R) Zulfiqar Ali Khan, Ex-Chief of Naval Staff Admiral (R) Abdul Aziz Mirza, NI(M), General (R) Muhammad Yusaf khan, Chief of Army Staff General Ashfaq Parvez Kayani, HI, HI(M), 61 General Officers, over 100 Brigadiers, over 2000 Colonels/Lieutenant Colonels and large number of highly placed officers in the civil. So far (Till 120 PMA Long Course) 33 Alamgirians have won the distinguished Sword of Honour in Pakistan Military Academy. Military College Jhelum is an English medium institution, running classes from VIII to XII for 550 cadets. It is located on the Grand Trunk (GT) Road, beside the town of Sarai Alamgir. The campus is spread over about 170 acres of area and affords sufficient open space for lawns and play grounds, cadet houses and officers residences. Brig (R) Muhammad Afzal Malik is the Commandant of the Military College Jhelum. While Colonel Aamer Hafeez are serving as Deputy Commandant and Chief Instructor. There are more than 8 Lt Colonels serving in college. More than 50 teachers have Masters degree (M. Sc. / M.A). Age must be between 12~14 years. The candidate must be student of 7th or 8th class. Last date for admission is normally 01 October of each year and test held in the beginning of November. College is organized as Residential or Boarding college.